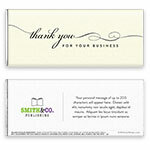 A timeless script and elegant, simple style are the features of this design. Design: Elegant script with a plain background and logo space. 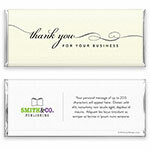 Personalization: Front message, back message and logo.